If you think Grey’s Anatomy is simply another medical drama, think again. And if you have ever wondered why a super successful series like this has survived 12 years of non-stop viewing, the answer is simple: it encapsulates the universal fear people have of falling ill, ending up in hospital, or death. 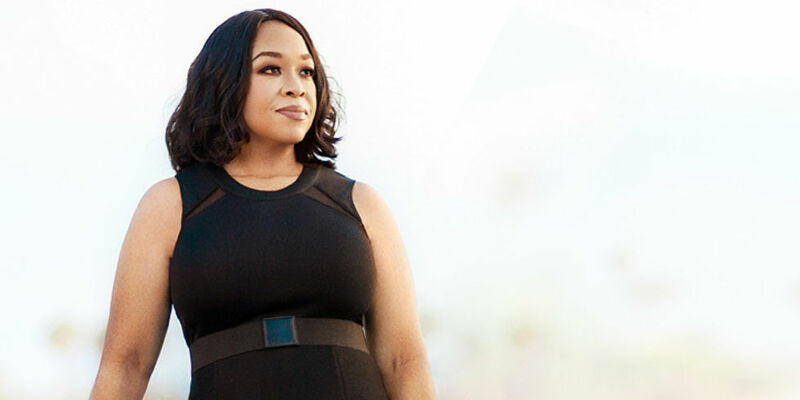 Series creator and writer Shonda Rhimes has magnificently tapped into this universal fear and opened a window to our own fragile humanity, poignantly showing us that decease and dying are part of life, and that ultimately, there is hope. Rhimes also shows us the fear and humanity of the doctors whose task it is to save lives and find answers to questions that threaten our existence. The doctors of Grey Sloan Memorial Hospital deal with life-or-death consequences on a daily basis — it’s in one another that they find comfort, friendship and, at times, more than friendship. Together they’re discovering that neither medicine nor relationships can be defined in black and white. Real life only comes in shades of grey. Grey’s Anatomy is about people, those who watch it, and the characters that have become a part of our lives the past 12-years. Rhimes is the series’ most prolific writer and often promotes the show by answering fan questions on her Twitter account, working closely with her brilliant writing staff that include Krista Vernoff, Mark Wilding, Peter Nowalk, Stacy McKee, William Harper, Zoanne Clack, Tony Phelan, Joan Rater, and Debora Cahn. If there’s one reason to watch the series, it for the story and exceptional scripts that dare to go where angels fear to tread. In Season 11 Dr. Amelia Shepherd (Caterina Scorsone) tackles the impossible, to remove a massive brain tumour, describing it as a living and breathing organism that fights to stay alive and survive inside the body. The episodes that deal with this subject matter are definitely the most profound ever done on television or even film. Grey’s Anatomy is a series that you will succumb to with laughter and tears. It’s an ultimate emotional roller coaster ride that offers the best television has to offer, intelligent viewing that is provocative, captivating and entertaining. Rhimes is best known as the creator, head writer, executive producer and showrunner of the medical drama television series Grey’s Anatomy, its spin-off Private Practice and the political thriller series Scandal. Rhimes was an executive producer for the medical drama series Off the Map which aired on ABC for one season in 2011. Rhimes is executive producer of ABC’s legal series How to Get Away with Murder, which debuted September 25, 2014. Rhimes initially conceived Grey’s Anatomy as a statement against racism. She endeavored to create a show that featured a racially diverse cast that allowed viewers to relate to characters regardless of race. While creating characters, as well as writing the first script, the series’ writers had no character descriptions in mind, and hoped to cast the best actor available for each part. Rhimes has explained that if the network did not allow her to create characters this way, she would have been hesitant about moving forward with the series. Female roles in particular were developed as multi-faceted characters. The season follows the story of surgical residents, fellows, and attendings as they experience the difficulties of the competitive careers they have chosen. It is set in the surgical wing of the fictional Grey Sloan Memorial Hospital, located in Seattle, Washington. The doctors at Grey Sloan Memorial must get used to the fact that Dr. Cristina Yang (Sandra Oh) is now in Switzerland, but they find it difficult to like her new replacement, Dr. Maggie Pierce (Kelly McCreary). She tries making friends with the doctors, but the one she’s really interested in learning more about is her half-sister, Dr. Meredith Grey (Ellen Pompeo). 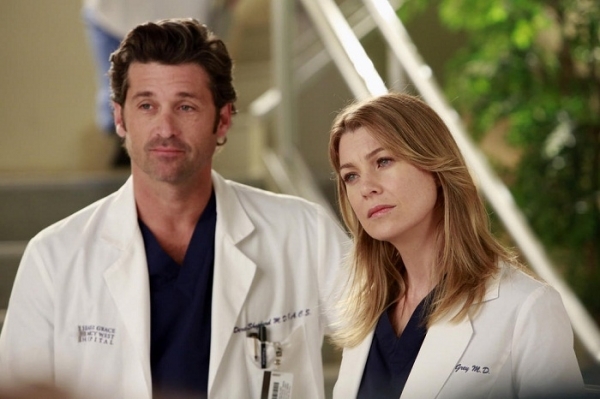 Derek (Patrick Dempsey) decides to stay in Seattle, but Meredith (Ellen Pompeo) winds up being unhappy about this as his decision makes him feel so bad that he diminishes everyone around him. A professional disagreement sparks another big fight between the two, which ends in Derek calling the President’s personal assistant to take job after all and Meredith telling him to go immediately. As her half-sister Maggie (Kelly McCreary) takes over Cristina’s job, Meredith starts remembering more and more about her mother (Kate Burton) and helps her new sister to get to know Ellis a little better too. Maggie has trouble fitting in at first and misses her beloved parents, but ultimately befriends the other attendings. Richard (James Pickens) tries to cope with the fact that he has a daughter, and doesn’t know how to tell Maggie that he is her father. When he finally does, she’s mad at him for having waited so long. He struggles to get close to her again, but they start to form a good professional relationship. Callie (Sara Ramírez) and Arizona (Jessica Capshaw) start their journey to get another child, but when Arizona takes on a fetal surgery fellowship, they start fighting again. They realize every step they’ve taken in the last years were just band-aids, and they decide to go to couple’s therapy. After a 30-day split recommended by the therapist, Callie realizes that constantly trying to fix their relationship is what’s been killing her slowly, thus ending the relationship. Callie teams up with Owen (Kevin McKidd) to dedicate her research to making veterans walk again and finds joy in life as a single woman. Owen misses Cristina and takes on the project to create something good in his life to fill the gap she’s left. 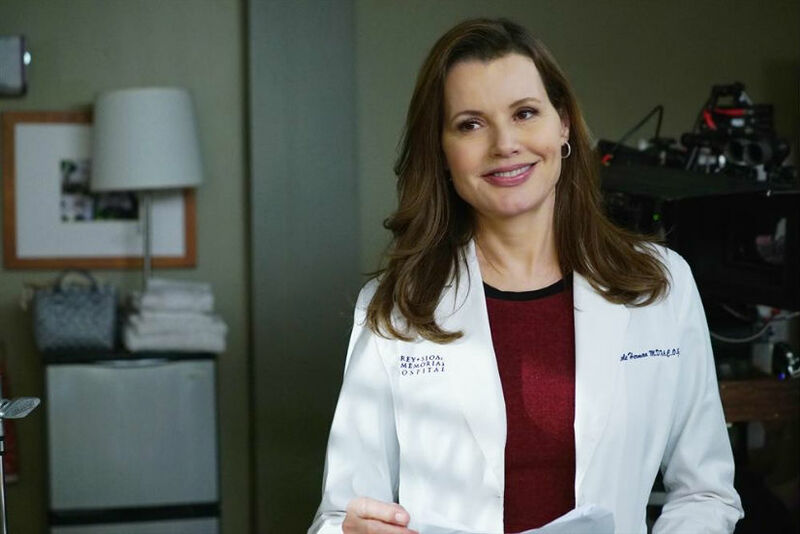 Arizona discovers her mentor, fetal surgeon Nicole Herman, (Geena Davis) as a brain tumor. Nicole has only 6 months left to live, and decides to use these months to teach Arizona all she knows about surgery. Arizona decides to keep Nicole’s secret in exchange for the knowledge, but she gets too curious and goes behind Nicole’s back to find out more about her tumour. She accidentally drags Amelia (Caterina Scorsone) into it, who ultimately claims she can remove the tumour. Alex ( Justin Chambers) and Bailey (Chandra Wilson) fight over the board seat, which is ultimately granted to Bailey. Lebackes (Patrick Fabian) fires Alex when he finds out Alex might be leaving his practice, but Alex is hired as a pediatric surgery attending to cover the pediatric surgery department now Arizona has started the fellowship. Bailey starts working on her own health and supports Richard. Ben’s ( Jason George) sister, Rosalind, is hospitalized and comes out as transgender. 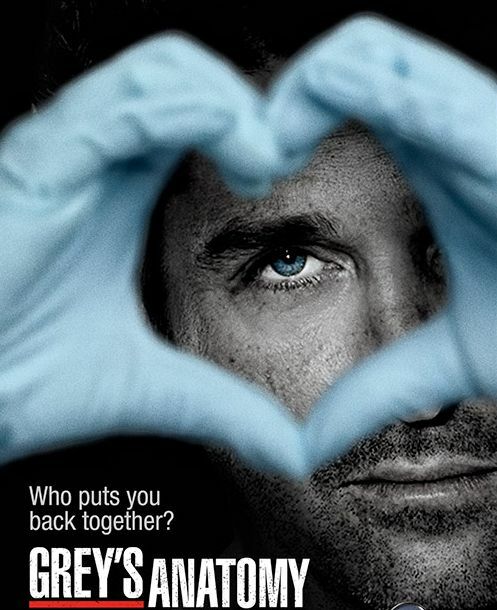 Amelia becomes the Head of Neurosurgery and butts heads with her brother when he wants his job back. All secrets about her past come to light, which makes her grow closer with Owen, who knows what having a difficult past feels like. Jackson (Jesse Williams) and April (Sarah Drew) prepare for parenthood with help from their mothers, but it turns out their baby has severe medical condition. She gives birth to a baby boy named Samuel, who dies after birth.